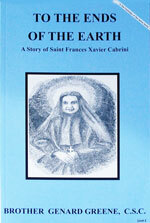 Home :: Books :: Children's Books :: A Story Of Saint Therese by Brother Ernest, C.S.C. 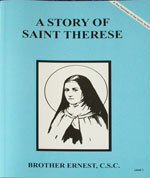 A Story Of Saint Therese by Brother Ernest, C.S.C. 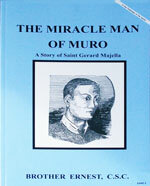 In 1888 this young girl enters the Carmelite convent at the age of 15. This story of St. Therese takes us from her young life at home through her illness and death showing us the way to persevere through all the little crosses of life. Reading this story about Saint Therese can help us see how to grow in holiness by doing even the smallest things with great love for God! Nihil Obstat and Imprimatur. soft cover. 29 pages. approximately 6" x 8". In the Footsteps of the Saints Series, level 1. 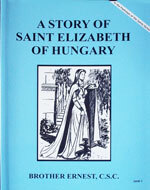 A Story Of Saint Elizabeth of Hungary by Brother Ernest, C.S.C. A Story Of Saint Blaise by Brother Franklin Cullen, C.S.C.